Counting down the seconds while keeping your coolest composure with the Diesel Mega Chief watch. This DZ4308 model from Diesel Advanced series features silver ion plated strap with stainless steel case, accompanied by Japanese Quartz chronograph movement and 10 ATM water resistant to deliver durability and aviation aesthetic. 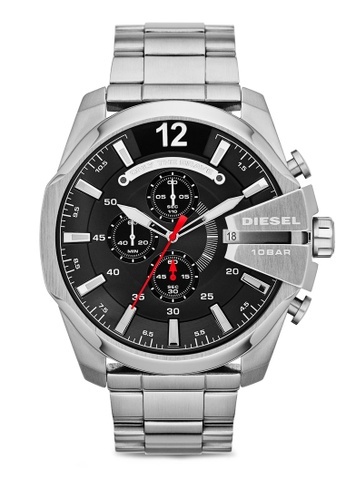 Can't find Diesel Mega Chief Stainless Steel Watch DZ4308 in your size?